Because every wrinkle is hard-won—and every laugh line is a welcome addition—we're celebrating Bas Bleu's silver anniversary (the big 2-5!) 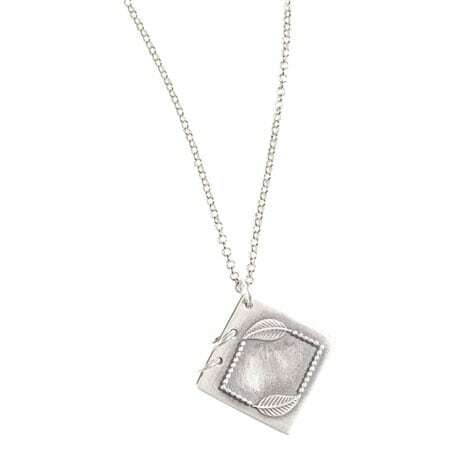 with our special sterling silver Mirth and Laughter Book Pendant. 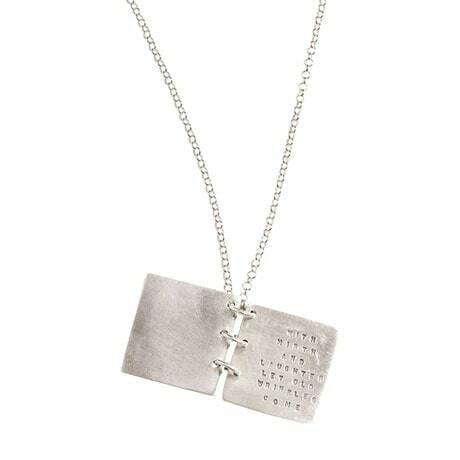 Customized for us by jeweler Kathy Bransfield and suspended from a 20" rolo chain, the pretty ¾"-square book pendant really opens, revealing Shakespeare's wise words engraved on the inside "page." Gift it to a dear friend who faces life with cheerful brio…or treat yourself to this beautiful reminder of the wisdom and joy that age and experience bring.